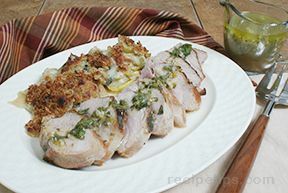 Make your next grilled pork tenderloin truly distinctive with this recipe, which includes a lively chimichurri sauce. Since some of the sauce is used as a marinade, the pork takes on a real Southwestern flavor. 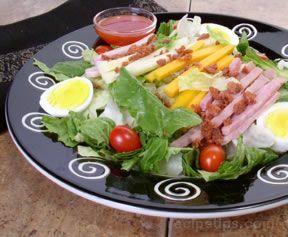 Filled with crisp greens, fresh vegetables, hard boiled eggs, and strips of meat and cheese, this entree style salad makes a perfect lunch or dinner. A great weeknight casserole that can be made up the day before and baked the next night. 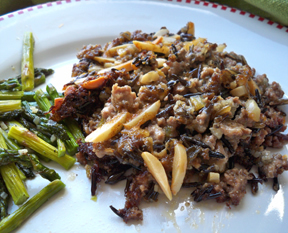 The mixture of wild rice, ground beef and the many seasonings gives this casserole terrific flavor. 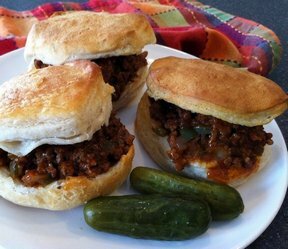 Great sloppy joe recipe that beats the canned version hands down. 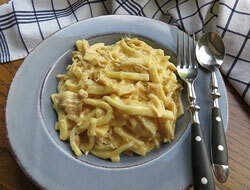 You may choose to leave the cloves out of this recipe if it doesn't fit your taste buds. 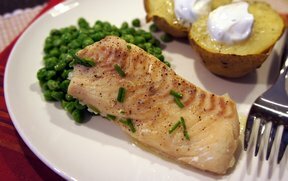 This flaky fish flavored with lemon and butter is a light and healthy dinner you can make any night of the week. With very little fussing, it is done in under 20 minutes, prepared and baked. 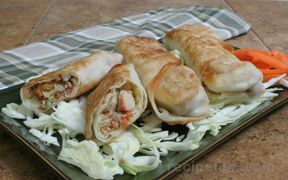 Serve it beside a green vegetable and baked potatoes.